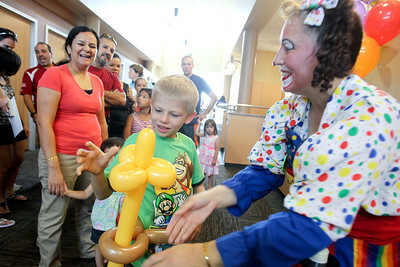 Mike Greene - mgreene@shawmedia.com Sean Trznadel, 6 of West Dundee, receives a balloon sword from Lolly pop the Clown as part of a grand opening event for the Randall Oaks Recreational Center Saturday, August 25, 2012 in West Dundee. 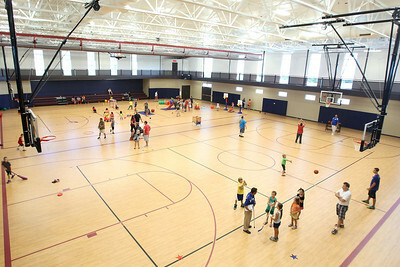 The event included tours, demonstrations, crafts, games, and contests for all ages. 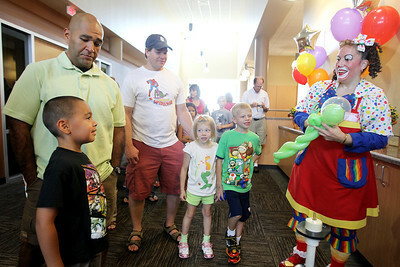 Mike Greene - mgreene@shawmedia.com Casey Lechuga, 6 of Carpentersville, waits with his dad Fred for a balloon from Lollypop the Clown during a grand opening event for the Randall Oaks Recreational Center Saturday, August 25, 2012 in West Dundee. The event included tours, demonstrations, crafts, games, and contests for all ages. 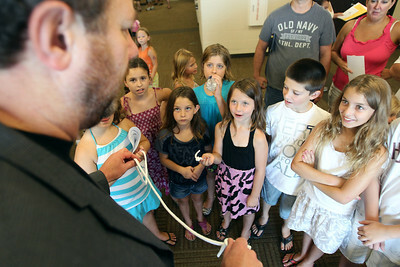 Mike Greene - mgreene@shawmedia.com Children line up to see Dennis DeBondy of VeryFunnyMagic perform during a grand opening event for the Randall Oaks Recreational Center Saturday, August 25, 2012 in West Dundee. The event included tours, demonstrations, crafts, games, and contests for all ages. Mike Greene - mgreene@shawmedia.com Marilynne Mancini, of Algonquin, tests out a body fat machine during a grand opening event for the Randall Oaks Recreational Center Saturday, August 25, 2012 in West Dundee. The event included tours, demonstrations, crafts, games, and contests for all ages. 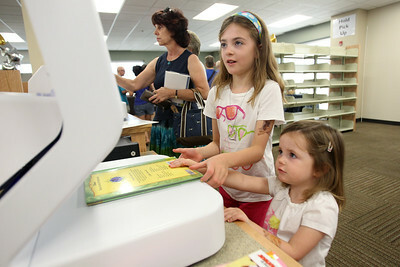 Mike Greene - mgreene@shawmedia.com Amelia Stoner, 7 of West Dundee, helps her sister Lilah, 3, check out a book during a grand opening event for the Randall Oaks Recreational Center Saturday, August 25, 2012 in West Dundee. The event included tours, demonstrations, crafts, games, and contests for all ages. 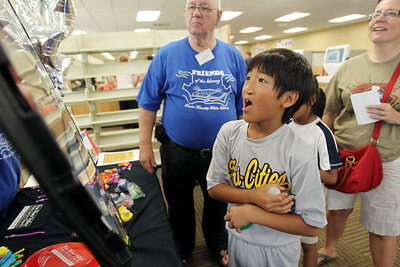 Mike Greene - mgreene@shawmedia.com Christopher Young, 8 of Sleepy Hollow, waits to see his prize on a spinning wheel while checking out the library during a grand opening event for the Randall Oaks Recreational Center Saturday, August 25, 2012 in West Dundee. The event included tours, demonstrations, crafts, games, and contests for all ages. Mike Greene - mgreene@shawmedia.com The Randall Oaks Recreational Center held a grand opening event Saturday, August 25, 2012 in West Dundee. The event included tours, demonstrations, crafts, games, and contests for all ages. 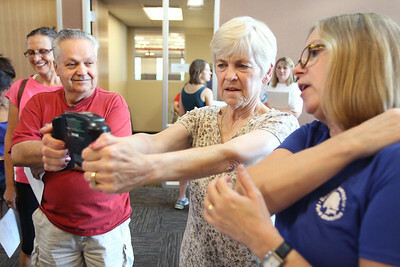 Marilynne Mancini, of Algonquin, tests out a body fat machine during a grand opening event for the Randall Oaks Recreational Center Saturday, August 25, 2012 in West Dundee. The event included tours, demonstrations, crafts, games, and contests for all ages.